BENGALURU: Thirty-six years ago, a revival of Sanskrit language was initiated in Jayanagar by two graduates of Tirupati Balaji Sanskrit University. From organising Sanskrit book fairs in Bengaluru and Ujjain in 2011 and 2013 respectively, to teaching the language to the masses by organising 10-day camps, they wanted the learning to take place as a mass movement throughout the world. The Sanskrit learning initiative has introduced a gathering on a local level. The NGO on the forefront called Samskrita Bharati introduced a three-year cycle to gather Sanskrit aficionados in one common ground- starting from locality to state and ultimately on the national stage. 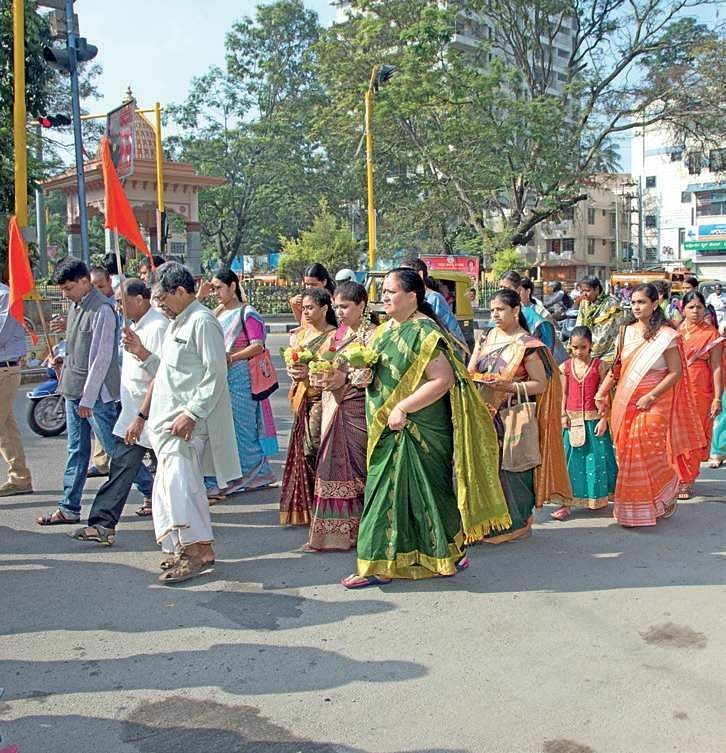 On November 19, the first ‘Samstrika Jilla Sammelan’ as the initiative is called, was organised in Basavanagudi, where about 500 people participated in the day-long programme of Sanskrit introduction and cultural awareness. Fourteen such gatherings will be organised in fourteen localities of Bengaluru till the end of this year. “Sanskrit as a language is growing and we see a lot of educated folks come forward to learn the language and by homemakers who say they want to teach their toddlers,” says Shivram A C, joint coordinator of the NGO. This year the gathering will be on a local level and the next year it will be a state level meet. In 2019 the aim is to make it a national level event. “The idea is to make Sanskrit a conversational language,” says Shivram. The organisation claims that over 10 million people have learned the language and they credit this to a course specifically designed for the purpose called “Speak Sanskrit in 10-day.” These camps are conducted at a grassroots level wherein the participants practice Sanskrit for two hours everyday during the course. “It is a novice programme and a simple technique of listening, speaking and writing is followed,” says Shivram. “Just like a mother teaches her child the first word by producing a sound, in the same way, the participants listen to the sound of the language and they easily adapt,” he adds. All age groups can participate in the programme and a minimum of ten people are expected to sign up, for the camp to take place.